Phalaenopsis orchids in a spectacular composition! 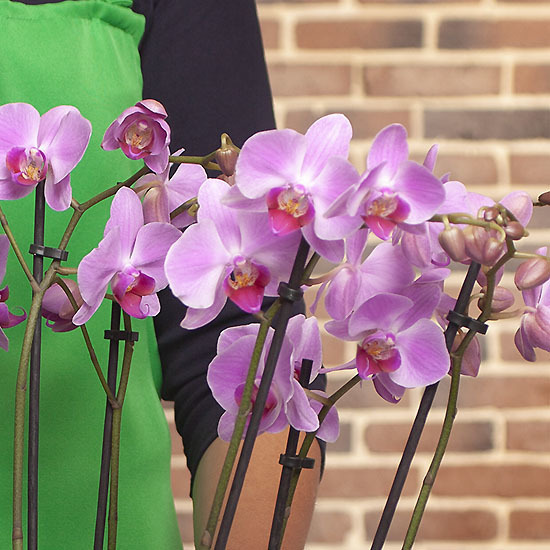 To create this generous, graceful composition, we selected one of the most favoured varieties of orchid, the pink Phalaenopsis, also known as the 'Butterly Orchid'. The form and beauty of its flowers make it a symbol of luxury and exotic elegance. With their exceptional longevity, these orchids, arranged in a beautifully contemporary ceramic plant pot, will make a long-lasting, unforgettable gift.